A remarkable history with elements of both In the President?s Secret Service and The Butler, The Residence offers an intimate account of the service staff of the White House, from the Kennedys to the Obamas. America?s First Families are unknowable in many ways. No one has insight into their true character like the people who serve their meals and make their beds every day. 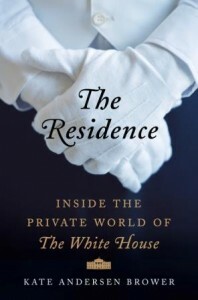 Full of stories and details by turns dramatic, humorous, and heartwarming, The Residence reveals daily life in the White House as it is really lived through the voices of the maids, butlers, cooks, florists, doormen, engineers, and others who tend to the needs of the President and First Family. These dedicated professionals maintain the six-floor mansion?s 132 rooms, 35 bathrooms, 28 fireplaces, three elevators, and eight staircases, and prepare everything from hors d?oeuvres for intimate gatherings to meals served at elaborate state dinners. Over the course of the day, they gather in the lower level?s basement kitchen to share stories, trade secrets, forge lifelong friendships, and sometimes even fall in love. Combining incredible first-person anecdotes from extensive interviews with scores of White House staff members?many speaking for the first time?with archival research, Kate Andersen Brower tells their story. She reveals the intimacy between the First Family and the people who serve them, as well as tension that has shaken the staff over the decades. From the housekeeper and engineer who fell in love while serving President Reagan to Jackie Kennedy?s private moment of grief with a beloved staffer after her husband?s assassination to the tumultuous days surrounding President Nixon?s resignation and President Clinton?s impeachment battle, The Residence is full of surprising and moving details that illuminate day-to-day life at the White House. The Residence is without a doubt one of my favorite reads of the year so far and I suspect it will be on my top ten best in December. This reads like a can't put down, stay up too late turning pages to see what happens next work of fiction. We start out with White House Doorman Preston Bruce hearing that John F. Kennedy has been shot in Dallas and his subsequent sprint to get to the White House so he could be there when Jackie arrived and the pace doesn't let up. This reads like a mix of gossip column and history lesson and every page is brimming with fascinating tidbits about everyone from the Kennedys to the Obamas. I have literally not shut up about this book since I started reading this with every sentence beginning "did you know..." And there is so much to know. There are bits of good and bad about almost everyone and through it all runs a strong thread of humanity that at times brought tears to my eyes. If it wasn't making me cry it was making me laugh or making me think. The people who run the White House are truly an amazing an impressive group and this is definitely a book worth reading! 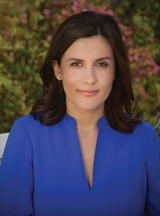 Kate Andersen Brower spent four years covering the Obama White House for Bloomberg News and is a former CBS News staffer and Fox News producer. She lives outside Washington, D.C., with her husband and their two young children. Follow Kate on Twitter, @katebrower. You got me with "This reads like a mix of gossip column and history lesson". I'll look for this at my library. I hope you find it and that you enjoy it. I really loved this one! It was fun to see! The inner workings of the White House are definitely a mystery so it was fun getting an inside peek! It sounds fascinating, and what a treasure trove it would be to anyone writing a fiction book set in the White House! Oh it would be perfect as a book source! There's so many really personal tidbits that it gives you a really good idea of what life must be like on the inside. Yours is the second review I have read today about this book and I have to say, I am intrigued! It does sound interesting. Not something I would normally gravitate towards on my own probably, but definitely something I think I might like to read. Thank you for the great review, Katherine. Oh Katherine this sounds like something I would thoroughly enjoy from the tidbits to the gossip. Possible top ten for 2015..yep I need. Ooo I wonder if they did an audio for it. If they did an audio I want to listen to it! There's some pretty good gossip and insider stories. Hope you love it as much as I did! I missed this tour so I'm glad to read what others think about it. It's got such positive reviews that I think I need to get a copy! I think you would really enjoy it. It's a great balance of fun and informative. I'm with Bea, your line "This reads like a mix of gossip column and history lesson" makes this sound so intriguing!